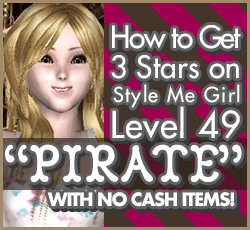 How to Pass Style Me Girl Level 49, "Pirate," & Get 3 Stars Without ANY cash! | I Style Me Girl! How to Pass Style Me Girl Level 49, "Pirate," & Get 3 Stars Without ANY cash! 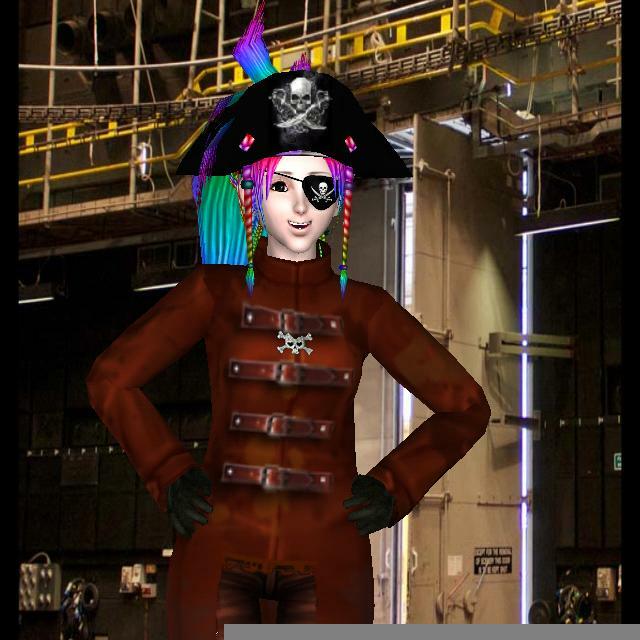 In "Pirate," themed Level 49 of Style Me Girl, it's time to channel your inner "Blackbeard Berry Crunch." Starting with the multicolored "pirate," up-do with braids, a signature item from early on in the game, I gave model Sarah a no-cash-items pirate look that earned three stars! If you would like to know how to pass Style Me Girl Level 49, "Pirate," and get three stars without using cash items, read on! The items I used to pass Style Me Girl Level 49, "Pirate," and get three stars are described and shown in the list below. The "Closet Items," screen capture can be clicked to view a larger more detailed image.